Happy Wednesday, friends! I'm loving this four day week and the sunshine we're having. LOL! Kidding.... kind of... but seriously here they are. 1- On Sunday or Monday, I do a big grocery haul and get the supplies for the week. I plan in my head a general idea of the meal plan for the week. 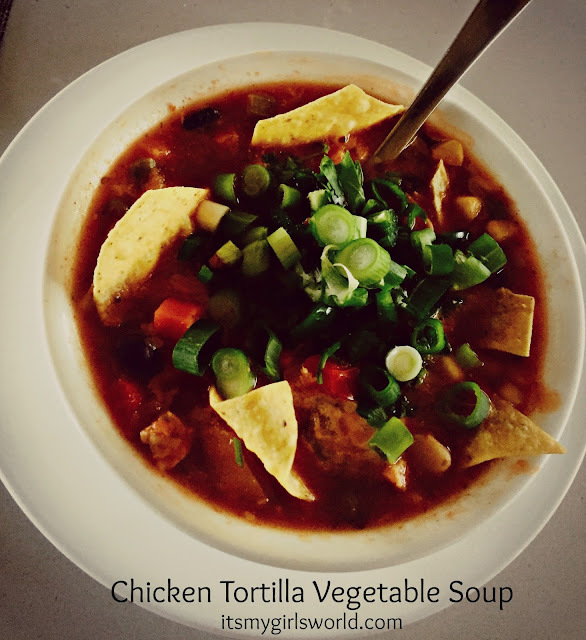 2- I do a big batch of soup on the Monday or sometimes the Tuesday and use that as much possible during the week for leftovers. 3- We usually make a protein and a vegetable for the adults and a carb for the kid. It's pretty easy to boil some pasta, bake potatoes, make some rice or give them a roll. I do try to mix up the different sorts of cuisines though. 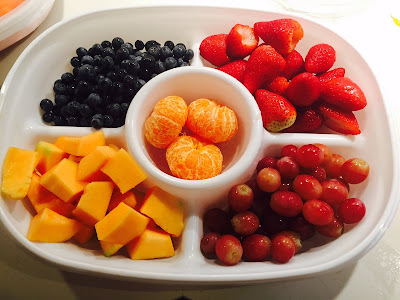 4- Everyone has to usually eat the same sort of things. Mama is no short order cook. 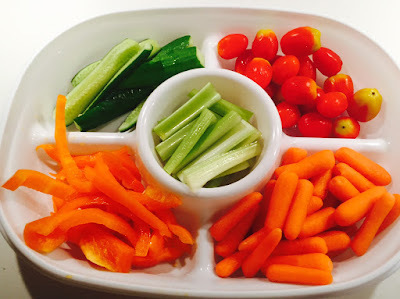 5- Cutting up veggies at the beginning of the week makes it easy for lunch, snacks and even for meal prep. 6- A big salad all prepped never goes to waste for lunch or dinner. 7- These days I'm not buying as much as I used to as I was finding some things are wasting so I'm trying to 'eat out' our pantry, freezer and fridge a bit. 8- On that note, if there are enough leftovers, I omit a meal and save it for the other day. 9- We go meatless on Thursday. 10- As for sharing recipes, I just google what I'm making that day or do it from memory. I could be better in that department. How do you meal plan? Any favourite recipes to share? Linking up for How we.. Wednesdays with Erica and Shay, and also with Erin for 10 Things. That graphic made me LOL! I love that you make a big batch of soup at the beginning of the week for leftovers. That's so smart! I try to make our bigger meals earlier in the week so we have leftovers too but I am not always successful! Haha, I thought the image was your meal plan at first. This week we did a big soup in the beginning of the week too! I'm pretty bad at meal planning though! bahah- that graphic is totally me. I have such good intentions. 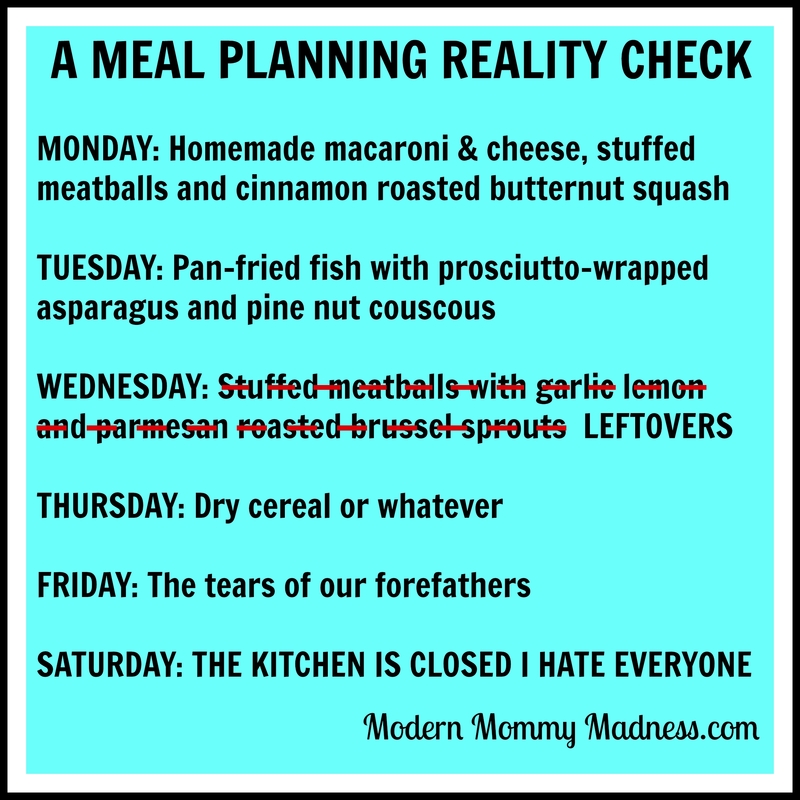 That "Meal Planning Reality Check" totally made me laugh!! Looking forward to checking out some of your favorite recipes. Thanks for sharing! You have a great plan in place. I'm trying to get back into meal planning, it really helps!